Anyone making the trip up to Lexington in a few weeks? It’s looking like Gameday will be in attendance. I am looking forward to seeing some orange in Rupp for a potential top 5 matchup. I think the Cats drop one between now and then. They got a lot tougher lineup. Thanks, but no thanks. UK fans treat opposing fans like s***. 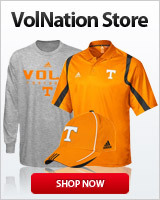 One of the worst fan-bases in college sports. Lol, I’ve lived here 23 years. I’m used to it. Not at the prices for tickets that they are asking. 8 mile drive to Rupp and still cheaper to get a hotel, tix and go watch them in TBA. I'll just spend money on dinner at Malone's that night and watch us take one from them at Rupp..... again. Yeah for real. $150 a piece is the cheapest that I saw on Stub Hub and those are uppers. Their seating up there is terrible too, it's bleachers and you're right on top of one and other. I went to see our Vols play the year that they had Wall and Cousins and I was about 5 rows up pretty close by the Vols bench and by the tunnel where the visiting team comes out from. I gave Chism a five when he came out. There's no way I'd ever get tickets that close again though, they were a gift from my brother's father in law, who is a season ticket holder. Refs will hit Williams with 2 fouls and Admiral with 3.......in the first 5 seconds of the game!?!?! 10 rows up is my limit. Has to be close to mid-court too. Cats might lose at Starkvegas but they will probably beat SCarolina & LSU at home. It will be interesting to watch how kyjelly defends Waters at LSU as he is similar in quickness to Bone. Wait til you see what it'll cost in Knoxville if we're still #1.. 150$ Won't get a hotel near campus. Trust me it won't be cheap in Knoxville have you seen what Saturday home games have been costing? Florida lower level going for 200 to 250 per ticket. That place is gonna be packed and loud and unfortunately very little orange I feel. It'll be a big test but I still feel that we are clearly the better team. We are better than them at nearly every position on the floor, we are much more experienced, we've been the better team for 2 full seasons now I feel. This is a great Tennessee team and just a so-so Ky bunch based on their past rosters. I'm big on the Vols and believe we sweep Ky again this year during the regular season. Me and my family maybe the only ones in orange, but we are going. The Rupparees take care of the big blue boys. Does any know why Tennessee plays' on Wednesday both times before we play Kentucky on saturday? We usually play on Tuesday, that extra day to rest and prepare is needed. Kentucky plays on Tuesday both weeks leading up to the games. I hope they do, while we run the table. That would give us a 2 game cushion in the standings. I would love to go and take my one of a kind UT truck (even though it might get keyed) but it's just too expensive. My son and I did take our motorhome to Memphis to watch the game. What a great time!